Coming off of a big come-from-behind win over Arkansas last Saturday, the Rebels need to do a few specific things to steal a win at home this week over Auburn. OXFORD, Miss. — Last Saturday’s conditions were about as ugly as you could draw up for college football in October. The Rebels and Razorbacks played in the cold rain at War Memorial in Little Rock–a “neutral” stadium. Given the conditions going in to the game, I was a bit suspicious as to whether the game would be worth the cold, wet hours I would spend there. 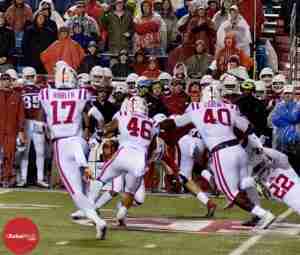 Luckily for me, the Rebels had it taken care of and made it one I will always remember. Down 30-17 halfway through the 3rd quarter, things didn’t look good for Ole Miss. But the Rebels never gave up, fighting their way back to an eventual game-winning TD run by Scottie Phillips with just 42 seconds remaining. That being said, I would much rather see a game this coming Saturday that doesn’t involve a white-knuckle finish. A decisive win over a struggling Auburn team that is coming off of a rather embarrassing 30-24 loss at home to Tennessee last weekend would be ideal. 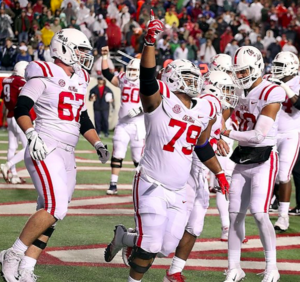 If we are going to see the Rebels move to 6-2 this Saturday, here are three crucial keys that must go their way. With the season-ending neck injury to star wide receiver D.K. Metcalf, this first key is big-time. The NWO’s (Nasty Wide Outs) are one main strength of Ole Miss’ fast-paced, high-scoring offense. A.J. Brown and DaMarkus Lodge will always be threats; however, with Metcalf out, that will surely draw more attention to the two of them, making it essential that young players like Braylon Sanders and Elijah Moore step up this Saturday. When they’ve gotten the ball this season, these two freshmen have been big weapons for the Rebels. Sanders is averaging 20.6 yards per catch and has one touchdown. Moore is averaging 14.3 YPC and has two TDs so far. They’ve both been good options for Ole Miss quarterback Jordan Ta’amu this season. With Lodge, Brown and Metcalf, Ole Miss has enjoyed the most talented and deepest wide receiver corps in college football. Now it’s time for the younger NWO to prove the talent extends past the starters. 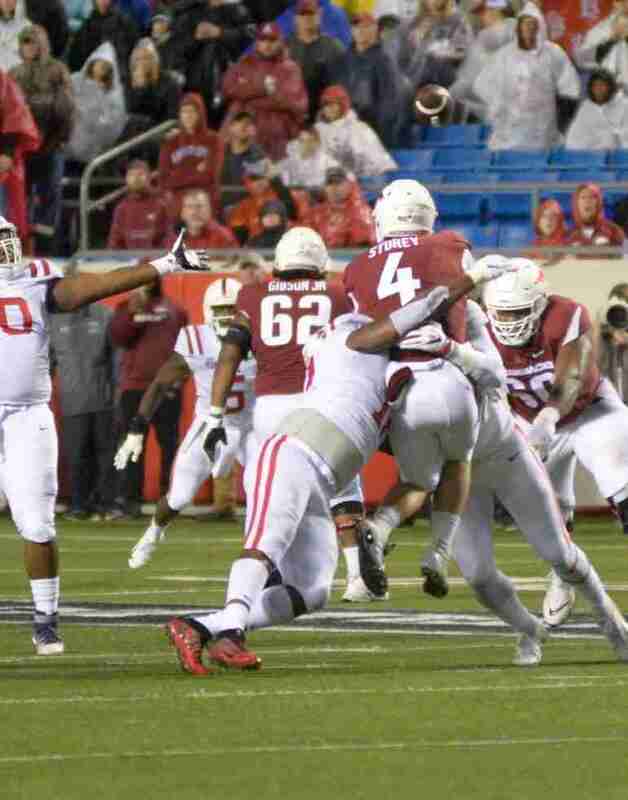 It’s no secret that Ole Miss’ defense has struggled at times this season. I’d be remiss, though, if I didn’t assign part of that struggle to the season-ending injuries that have plagued the Rebel defense. It’s truly baffling when you look at the bad luck that has hit the Ole Miss defense in the form of injuries this year. Sixty percent of the secondary–Jaylon Jones, Montrell Custis, and C.J. Moore— has been lost for the season. Players who are out or who have missed extended periods of time this season include: linebacker Josh Clarke, defensive end Markel Winters, defensive backs Ken Webster and C.J. Miller, and defensive end Victor Evans. Additionally, Luke announced after Wednesday’s practice that defensive lineman Austrian Robinson is in concussion protocol, so he is questionable for the game against Auburn. 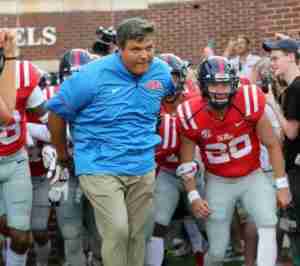 But football is a team game and the Rebels are embracing the “next man up” philosophy. Against Auburn, the Ole Miss defense HAS to find a way to shut down the run game. Last week, they gave Arkansas virtually nothing through the air, which was great to see. However, the Rebs gave up 299 yards on the ground to the Razorbacks. The Rebels need to make Tigers’ quarterback Jarrett Stidham beat them through the air. If Auburn can gash the Rebels on the ground, that will create a world of problems for the Red and Blue: Auburn will dominate time of possession, Ole Miss’ offense will see less action, and the Rebel defense will be on the field for days. However, if the Landshark defense can force Stidham to beat them through the air, I think the result will be favorable as he has struggled under pressure at times this season. Stidham has not enjoyed as prosperous of a year as many predicted him to have; he has thrown seven touchdowns and four interceptions and averages 214 yards per game through the air. In contrast, Jordan Ta’amu has gone over 300 yards in five of seven games this year and has tallied 15 passing TDs. If the Rebels can stop the Tigers’ run game, thus putting the contest in Stidham’s hands, Ole Miss stands a great chance of winning this game. Auburn’s head coach Gus Malzahn, on the other hand, is in his sixth season at the helm of the Tigers’ football program. He took Auburn to the BCS National Championship game in 2013, his first season as head coach, where the Tigers would eventually lose to Florida State. Auburn has been to a bowl in every season that he has coached them, and he’s amassed a 49-25 record since taking the reigns. 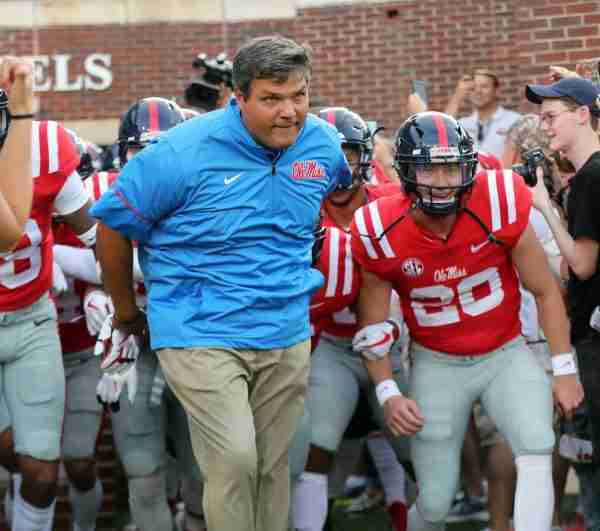 While Malzahn has navigated the gauntlet of SEC football for longer than his Ole Miss counterpart, Luke is certainly no stranger to the league, having played or served as an assistant coach for the Rebels for over 14 years. The Auburn game offers Luke and the Rebels an opportunity to show what the are made of. I believe Matt Luke can out-coach Gus Malzahn and show him (and the rest of the SEC) that The Vaught is Luke’s house. Jake is a 20-year-old Integrated Marketing and Communications major at the University of Mississippi. He is a retired high school football, hockey, baseball, cricket, and rugby player. Jake is a lover of all things Ole Miss, Predators, Titans and Braves.